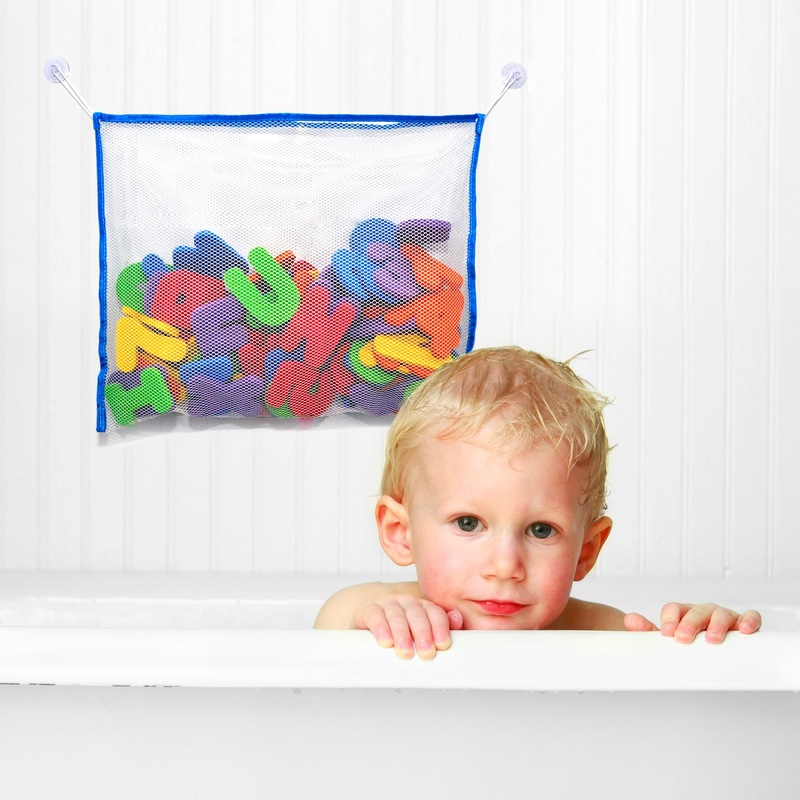 I am pretty sure everyone one of my children and grand children have had a similar set to the Brilliant Babyz Bath Organizer with Bath Letters and Numbers, and they have all loved them dearly. One of their first bath chew toys, one of the first ways they learned colors, numbers, and letters, all while taking a bath, having fun. I really like that this set came with a bag, only a few of ours have in the past. Bright colors that engage children for hours if you let them stay in the tub that long. At least you won't have a problem getting your child clean while you have these. 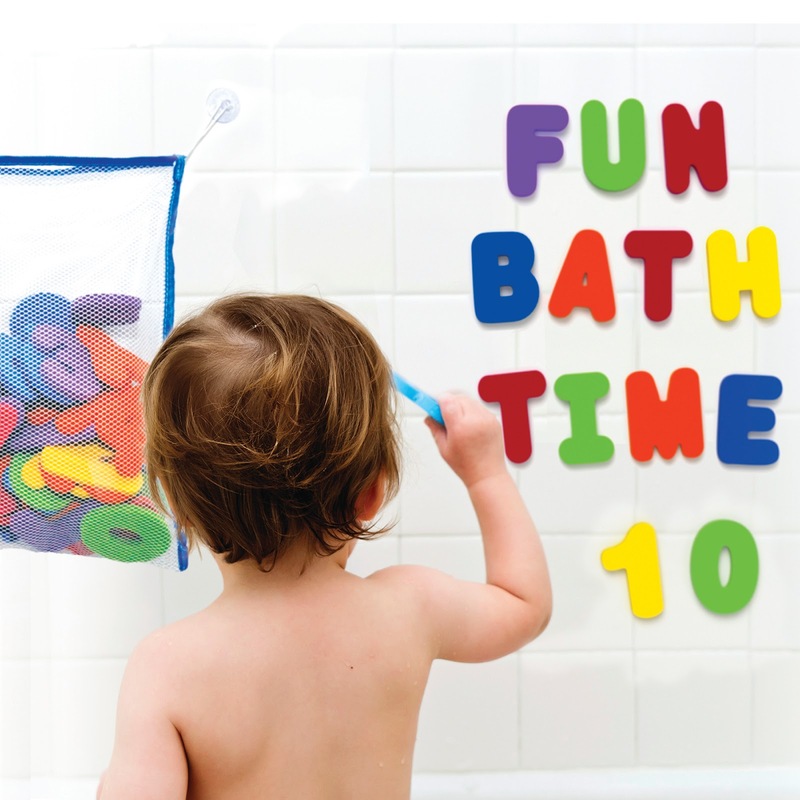 You can purchase Brilliant Babyz Bath Organizer with Bath Letters and Numbers on Amazon. What Brilliant Babyz has to say about their product. The colorful Brilliant Babyz set is the perfect fun way of teaching your child the melody of spelling and counting. 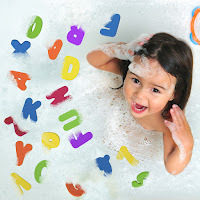 Letters and numbers, on a floating motion in water tend to characteristically stick to the bathtub walls when wet, allowing your child to enjoy learning the alphabets, how to count them and learn different colors. Take a chance to improve your child's learning skills and experience now with this wonderful set. The Brilliant Babyz set comes with its premium Bath Toy Organizer. 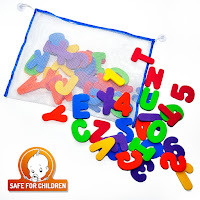 The mesh toy organizer is large enough (14X18 inch) to hold a significant quantity of toys along with letters and number sets. With our premium organizer your children will love collecting their toys! ✔︎ PREVENT MOLD AND MILDEW; the high quality Mesh Bag Net allows toys to dry quickly. ✔︎ SUPERIOR SUCTION CUPS; Strong suction cups keep the toy organizer from falling and allow it to stick to any surface like bath tiles and glass. ✔︎ HIGH STANDART MATERIALS; Brilliant Babyz Produces the Bath Set from Durable, High Quality, Nontoxic, soft materials. ✔︎ 100% LIFETIME SATISFACTION GUARANTEES + FREE TODDLER CARE GUIDE BOOK WITH EACH ORDER AS A GIFT! Disclosure: MarksvilleandMe received one or more of the products mentioned above as part of a promotion with Tomoson and Brilliant Babyz. Regardless, MarksvilleandMe only recommends products or services we use personally and believe will be good for our readers. Some of the links in the article may be “affiliate links.” This means if you click on the link and purchase the item, I will receive compensation. If you would like MarksvilleandMe to review a product or service please contact us at marksvilleandme@gmail.com.